Wireless has established itself as a calendar highlight for fans of rap, R&B, and hip hop in the UK. Demand for the London festival is high – you’ve probably seen the famous gatecrashing video from 2015, where a seemingly endless stream of people who couldn’t get a ticket broke past the barriers – and this year, all three days of the event sold out within a few hours of it being announced. As has become customary for festivals, however, after the initial buzz of its lineup came out (J. Cole and Stormzy as headliners! J Hus, Migos, and Lil Uzi Vert! ), people dug a little deeper into the schedule and realised that there are barely any women on it. To be more specific, there are only three, despite the wealth of talented women in the UK right now. a 3 day festival. and 3 female acts. the shortsightedness of this is staggering. how did the organisers not think this could be an issue? especially when there is SO many brilliant female rap and grime artists coming through? Where is Stefflon Don? Where is IAMDBB? MsBanks? Wireless have form here – last year, there were only five female artists out of the full roster of 41 acts – but it’s a problem with most festivals in the UK too. According to BBC research, on average over 80 per cent of the top slots at UK festivals last year were occupied by men. It’s entirely possible that Wireless will announce more women in future lineup announcements, but if they need any suggesions for who to book, we’ve rounded up a few artists who we think should join Mabel, Cardi B, and Lisa Mercedez when the festival touches down in Finsbury Park this July. Wireless have not yet released an official statement on the topic, though some women artists have said on social media that they were approached to perform but had to decline. One notable difference between the Wireless lineup in 2015 and 2018 is the mix of acts – 2015 was one of the last years to feature a range of DJs and singers alongside rappers. Obviously Drake as a headliner flips between both, but they also boasted Mary J. Blige, Tinashe, and Ciara on the bill. 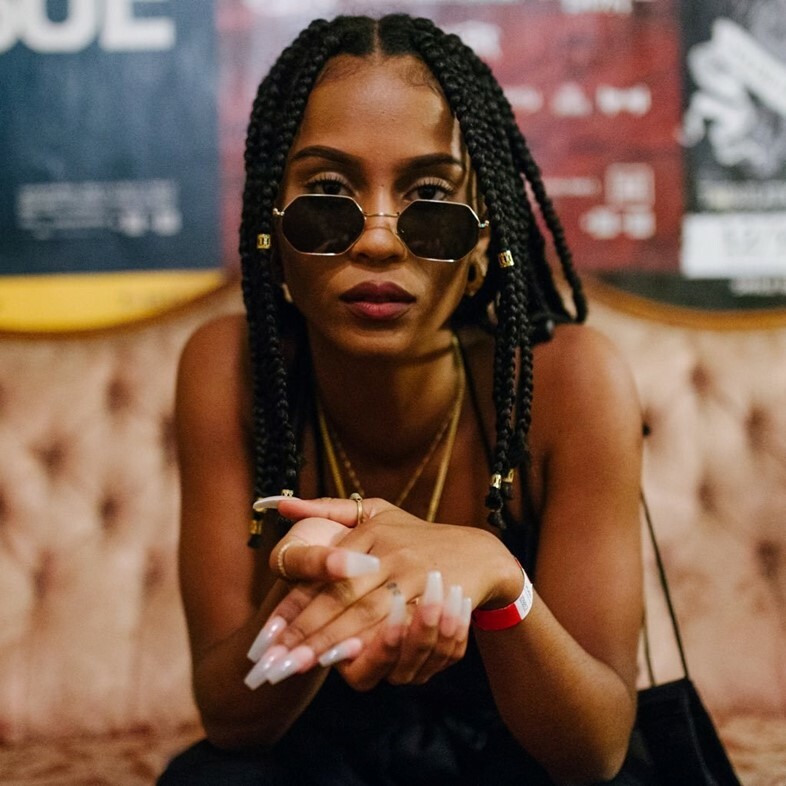 This year we’re missing singers, which is why we’re nominating Manchester’s finest, the lovechild of trap and jazz, IAMDDB, who we spotlighted recently in our in-depth look at the city’s new wave. Manchester is only two hours away on the train, and they can’t ignore the fact that “Shade” was one of the best British urban singles of last year. Stefflon Don had a big year last year: “Hurting Me” with French Montana made waves, she had a good run as a featured artist, and she rounded it off by getting in the studio with Drake and securing a huge record deal. Although comparisons with Nicki Minaj are lazy, there’s a lot to be said for the similar rate of her success. If the 25-year-old rapper is one to watch on the UK scene, surely she should be somewhere in this lineup. If we’re going to add Stefflon Don to the lineup alongside Mabel, it’s only right that we should add their labelmate Raye. She’s all about female empowerment, having previously told The FADER that she needs music about strong single women like “medicine”. When it comes to UK R&B singers, it’s not too far-fetched to say that Jorja Smith – recently profiled by Dazed – is really leading the way. Not only has she gone through the rite-of-passage for UK urban music stars (a Drake co-sign, natch), but her Preditah collaboration “On My Mind” was stuck in everyone’s heads for the back end of 2017. Honestly, where is she? A lot of women attending this festival would have played SZA’s CTRL to death last year. Yes, there are a lot of slow jams – but you can put her in the afternoon slot, the just-after-you’ve-visited-the-food-van slot, the standing-in-the-brief-moment-of-sunshine-while-holding-your-best-friend’s-hand slot. And think about it, if security want to subdue the crowd gathering outside the gates that are ready to break in at any second, what will calm them down more than songs that make them relive their past break-ups? Kali Uchis has something good in store for us this year, we can feel it. Her debut album is coming and she’s worked with Tame Impala, Damon Albarn, and Bootsy Collins on it – when it drops it will definitely be special. There’s no release date just yet, so Wireless could be one of the first live sets to support it. And while she’s there, she could bring Jorja Smith on-stage for a rendition of her impossibly catchy “Tyrant”. DJs aren’t particularly well-represented on this year’s lineup, so A.G – with her extra sharp technical skills and a musical knowledge that’s more on-it than the rest – could be a perfect addition. The east London DJ started out as a grime blogger before cutting her teeth in London’s local and pirate radio communities, and nowadays hosts the M’n’M (Music’n’Madness) show on Dalston’s NTS, specialising in hard, fast grime and club music. We’ve already remarked on the lack of singers at this year’s festival, and for a more leftfield addition, we’d suggest they book Rina Sawayama. The London artist writes pop and R&B songs with serious hooks, relatable lyrics, and a futuristic sheen. For anyone not familiar, she’s exactly the sort of new discovery you’d hope to stumble across in the middle of the afternoon.